Yes, Illinois generally limits your right to recover for personal injuries from a construction accident to 2 years. 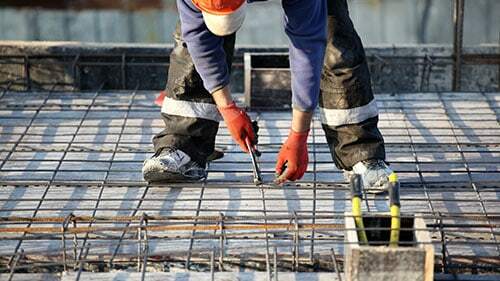 Unfortunately, a lot of the clients that we work with on construction accident cases do not even think to come to us for help until months or even years after the actual incident that caused their injuries. They forget or fail to realize that they must act and act quickly against the person, organization, or company that hurt them especially if they are even thinking about bringing a lawsuit to recover for their damages. Urgency is a must because like other states Illinois has statutes of limitations that will not allow you to bring a case if it is not brought within a certain amount of time. What Exactly Are Statutes Of Limitations? What Are Illinois' Statutes Of Limitations? How Exactly Do Statutes Of Limitation Work? Worried That Your Case Might Be Too Late? Statutes of limitations are a kind of laws that regulate when a person can be sued for a tort or convicted of a crime. Therefore, they apply equally to civil and criminal litigation. Put plainly, if the state or plaintiff waits too long to bring their case, then they cannot bring it at all. Different torts and crimes have different time limits but the basic premises persists that you do not have an unlimited amount of years to pursue a claim for damages or other recovery. Why do jurisdictions have statutes of limitations? This is a great question especially because they can give plaintiffs so much frustration and even block their case from going to court in certain instances. However, the general explanation is that people have the right to be free from the fear of litigation after a certain amount of time. Also, it guarantees that cases will be ripe and not stale from the time when the incidents actually occurred. This latter point has practical consequences because it can be difficult sometimes to obtain evidence and witnesses well after an accident has transpired. Thus, it could drain courts' resources to hear them and try older lawsuits according to the general justification. But what exactly do these two laws mean? They mean that if you want to sue for personal injuries you suffered in a construction accident, then you have two years to sue the wrongful party. Alternatively, if you are suing for property damage that you suffered in a construction accident, then you have five years to sue the wrongful party. Rosenfeld Injury Lawyers LLC helps Illinois victims of all kinds of accidents get their cases in on time. It is critical that you do so because if you don't then you won't be able to recover at all. However, we can help you. Then, we can represent your rights in court on contingency so that you won't have to worry about bills during trial. To hear more, call our offices today. Someone from the Rosenfeld Injury Lawyers LLC can begin your case immediately.